Eumer system of brass tubes in 3 sizes, and available in different colours. 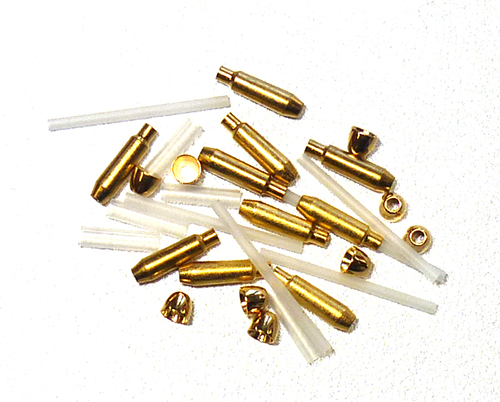 The tube pack contains 10 tubes complete with cones, with the tubeliner and hook sleeve also included. Tying the tubes could not be easier, simply leave the body alone as it is already coloured and tie a wing of Arctic Fox along with a hackle to the tube liner and finish with a cone, Simple and very effective! !